Touring Cuba is a great way of taking in the highlights of this fascinating country, and our range of tours take in most locations you'd want to visit. In a country that can sometimes be difficult for the independent traveller, touring is a great way to see things without too much hassle. 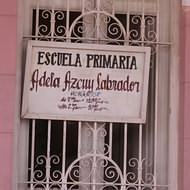 Our tours take in the west or east of Cuba, or the length of the island! 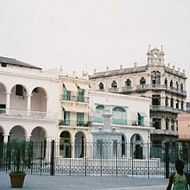 The 'Pearl of the Caribbean' and the 'Discover Cuba' tours visit Cuba's unique historic capital Havana, the colonial cities of Cienfuegos and Trinidad, plus elsewhere in western and central Cuba. The 'Cradle of the Revolution' tour explores eastern Cuba including Bayamo, Santiago de Cuba and the Sierra Maestra mountains. Finally, the new 'Captivating Cuba' itinerary travels from Holguin in the east to Havana, via Central Cuba - a fascinating option! Accommodation on all tours tends to be of 'Tourist Class' standards, although standards can vary according to location. In well known locations such as Havana, standards tend to be good. In more 'off the beaten track' locations hotels are often basic. Most of our tours can be taken in their own right, or followed by time on one of Cuba's stunning beaches. Varadero tends to be the most straightforward option, but other beaches are often possible. Our Cuban tours start with a flight to Havana, with departures from Gatwick or other parts of the UK via Paris or Madrid. 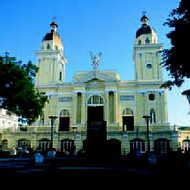 Certain tours start in Holguin, with flights from Gatwick. Have a look at our touring itineraries - if you see something of interest call one of our friendly reservations staff on 020 8989 0970, or fill in a quote and we'll check availability and get back to you. If you're not sure what's best for you, ask to speak to one of our staff who've visited recently.